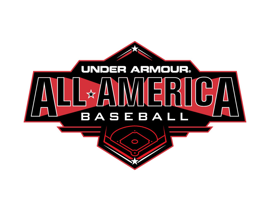 Baltimore, MD (May 18, 2017) – Under Armour, Inc. (NYSE:UA, UAA) the leader in performance footwear, apparel and equipment, today is excited to announce the 2nd wave of players selected to participate in the 2017 Under Armour® All-America Baseball Game, powered by Baseball Factory. The game, which will be played at iconic Wrigley Field on Saturday, July 29th, brings together the top 40 high school players in the United States, Canada and Puerto Rico. The game, in its 10th year, will be broadcast on MLB Network. Since the game’s inception in 2008, 247 of the 286 draft eligible players from the Under Armour All-America Game have been selected in the MLB Amateur Draft including 71 first round picks. Top players from the 2016 draft include: Riley Pint (2016 No. 4 Overall Pick, Colorado Rockies); Corey Ray (2016 No. 5 Overall Pick, Milwaukee Brewers); Zack Collins (2016 No. 10 Overall Pick, Chicago White Sox); Will Benson (2016 No. 14 Overall Pick, Cleveland Indians); Forrest Whitley (2016 No. 17 Overall Pick, Houston Astros); Delvin Perez (2016 No. 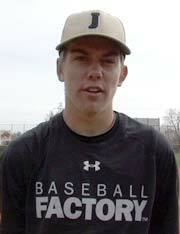 23 Overall Pick, St. Louis Cardinals); Carter Kieboom (2016 No. 28 Overall Pick, Washington Nationals); Dylan Carlson (2016 No. 33 Overall Pick, St. Louis Cardinals); Taylor Trammell (2016 No. 35 Overall Pick, Cincinnati Reds); Joey Wentz (2016 No. 40 Overall Pick, Atlanta Braves).